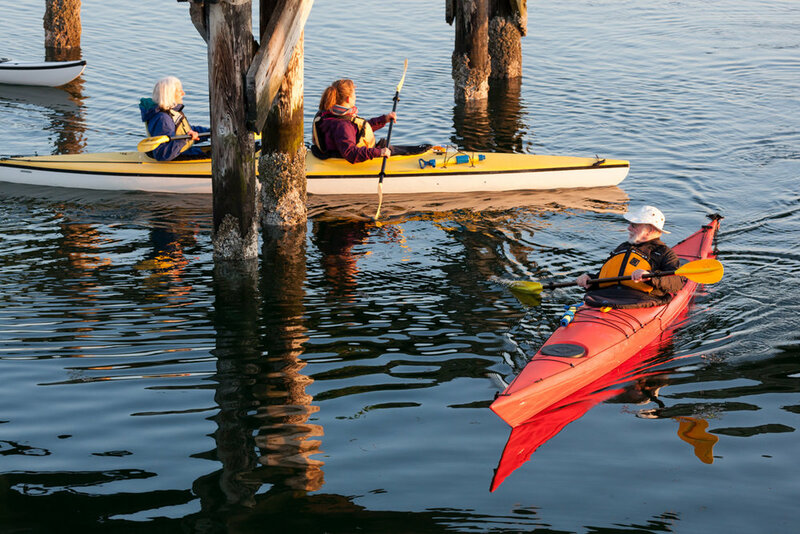 Experience the beauty, serenity, and wildlife of Whidbey Island and the waters of Puget Sound while paddling on one of our intimate kayak tours. Our guides will fit you in our lifejackets and touring sea kayaks comfortably, teach you how to paddle effectively, and will share the wonders of Whidbey including its past, its present, and its critters. TASTE have you ever tried fresh seaweed? Yum! This is what can happen on a Whidbey Island Kayaking tour. This is one of our friendly seals having a good time. Also a good demonstration of how to get up on a kayak if for some reason you end up in the water.